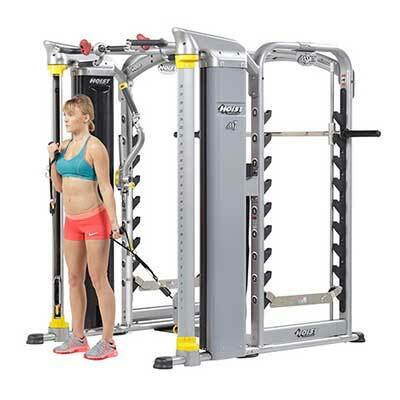 When you want an innovative home gym machine that saves space, the Mi7 Smith Machine Functional Training System provides you with a sleek, walk-through design that combines power and efficiency. 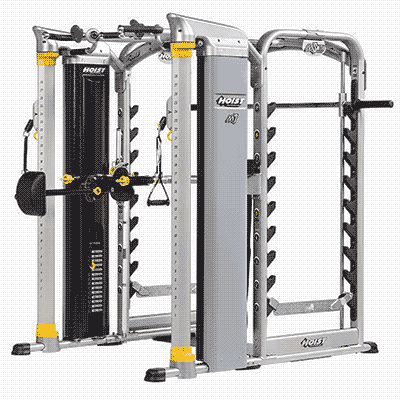 Its patented technology and range of features allow you to maximize the number and type of exercises you can do. 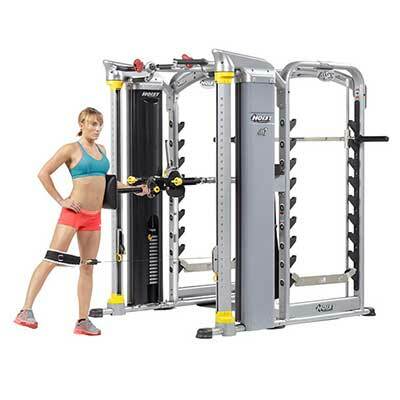 One side of the Mi7Smith, the MiSmith Dual Action, uses cuting-edge technology to offer all the benefits of training with free weights (including simultaneous movement of horizontal and vertical bars) while providing the utmost in safety and stability. 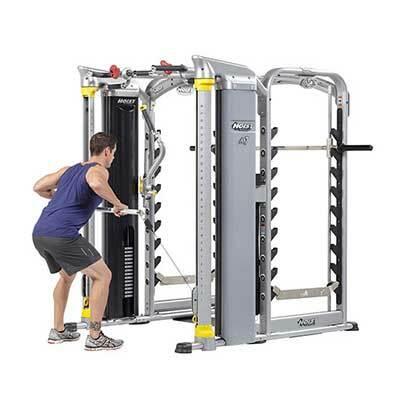 When you use the opposite side of the Mi7Smith and the Mi7 Functional Training System, you’ll experience 360 degree dual rotating columns of Silent Steel® weight stacks for a fully free range of motion. With five options for pull-up grips and dips, the Patented Flip n Grip® and Flip n Dip® grips allow you to do wide or narrow dips. Ultra-Lite Lifting System™ with Smith bar that weighs just 30 lbs.